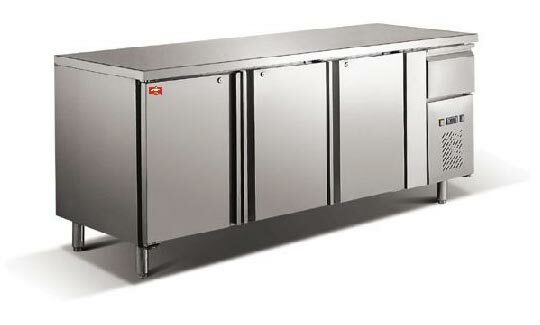 The Benchtop Refrigerator is a great answer to all the cold storage needs of a bakery. Further, the Benchtop Refrigerator ensures safe storage and extended freshness of the bakery product. We have come up as a trusted Manufacturer, Exporter and Supplier of Benchtop Refrigerator. Available in diverse capacities (liters), the Benchtop Refrigerator confirms to the set standards of quality.